The Huashu (Simplified Chinese: 化书; Traditional Chinese: 化書; pinyin: Huàshū; Wade-Giles: Hua Shu), or Book of Transformations, is a Daoist classic dating from 930 C.E. about neidan "internal alchemy," psychological subjectivity, and spiritual transformation. It was originally published by Song Qiqiu (886-959 C.E. ), a regional Chancellor of the Southern Tang dynasty, under his own name, but was revealed in 1060 C.E. to have been plagiarized from its primary author, the Daoist Tan Qiao (譚峭). During the fourteenth century, the Huashu was widely known and read in China as both a secular or external version based on the interpretation of Song Qiqiu, and the original Taoist/alchemical, or internal, version of Tan Qiao. The Huashu is a unique philosophical work which synthesizes elements of Taoist, Buddhist, and Confucian thought. It substantially influenced Taoist and Confucian metaphysics during the Song and subsequent dynasties, especially as a foundation of alchemical thought. The Huashu has been studied by generations of Chinese literati as a philosophical text, particularly in the context of Neo-Confucianism, but did not capture the attention of Western scholars until the nineteenth century. It has been noted in recent times for its scientific observations regarding optics, acoustics, and psychological conditioning, and for its unusual emphasis on epistemological considerations. Authorship of the Huashu is associated with three people. The Southern Tang (937-975 C.E.) chancellor Song Qiqiu (宋齊丘) first published it under his name, but evidence suggests he plagiarized the Huashu from its primary author Tan Qiao (譚峭), whom later scholars confabulated with another roughly contemporaneous Daoist, Tan Zixiao (譚紫霄). According to an analysis by John Didier, the essence of the Huashu text was written by T'an Ch'iao, then edited and altered by Song Qiqiu, who corrupted both the structure of the work and the philosophy expressed through it. Song Qiqiu (Simplified Chinese: 宋齐丘; Traditional Chinese: 宋齊丘/邱; pinyin: Sòng qíqiū; Wade-Giles: Sung Ch'i-ch'iu; 886-959 C.E.) was a regional Chancellor of China during the Southern Tang kingdom, which was one of the Ten Kingdoms. He was born in Luling 廬陵 (present-day Jiangxi), orphaned as a child, and self-educated. While serving as an official in the kingdom of Wu (907-937), he befriended Xu Zhigao (徐之誥), and helped him to establish the Southern Tang and become Emperor Liezu (r. 937-943). Song was appointed to various important administrative posts, including Chancellor on the Left. After the emperor died, Song retired to Mount Jiuhua and was called Jiuhua Xiansheng (九華先生, "Elder of [Mt.] Jiuhua"). Liezu's successor Emperor Yuanzong (r. 943-961) reappointed Song as chancellor and made him Duke of Chu (state). In 958 C.E., Song was accused of treason and exiled to Jiuhua, where he hanged himself. Song wrote a still-extant preface for Huashu dated 930 C.E., and published the book under his name. Beginning in the Song Dynasty some editions of the Huashu were titled the Qiqiuzi 齊丘子 "[Book of] Master Qiqiu." In the eleventh century, the Daoist priest Chen Jingyuan 陳景元 (ca. 1024-1094 C.E.) published the Huashu with a colophon dated 1060 C.E. revealing that Song had stolen the book from Tan Qiao. Chen had heard this story from his master Zhang Wumeng (張無夢, fl. c. 960-1040), who had heard it from his master Chen Tuan (871-989), a friend of Tan Qiao. This contemporary witness said that Tan wrote the Huashu on Mount Zhongnan ( 終南, Shaanxi) and met Song Qiqiu while traveling through the capital Nanjing to nearby Mount Mao ( 茅山), the center of Shangqing School "Supreme Clarity" Daoism. Tan told him, "The transformations of this book endlessly transform. I want you to preface it and pass it on to later generations." Song edited and published the book under his own name. He was posthumously called Choumiu (醜繆, "Disgraceful Error"). The Huashu was originally written by the Daoist Tan Qiao (Simplified Chinese: 谭峭; Traditional Chinese: 譚峭; pinyin: Tán Qiào; Wade-Giles: T'an Ch'iao; c. 860 C.E.-c. 940 C.E.). The tenth century Xu xian zhuan (續仙傳, "Continued Biographies of Immortals"), by Shen Fen (沈汾), contains the earliest account of Tan Qiao. He was from Quanzhou (in present-day Fujian) and his Chinese style name (zi 字) was Jingsheng (景升) "Brightness Ascending." His father Tan Zhu (譚洙), a director of the Guozijian "Imperial Academy" during the Tang Dynasty (618-907 C.E. ), educated him in the Confucian classics and histories to prepare him for the Imperial examination. Qiao was an excellent student but more interested in the Daoist classics, particularly the hagiographies of xian (仙, "immortals; transcendents"). Tan Qiao left home to study Daoism on Mount Zhongnan and never returned. After traveling through the Sacred mountains of China, he lived for a decade on Mount Song (嵩山, Henan), where Daoist priests taught him neidan alchemical techniques of bigu (辟榖, "abstention from cereals") and yangqi (養氣, "nourishing qi), roughly corresponding with Western practices of inedia and breatharianism. "He wore furs in summer and thin garments in winter, and he would often lie about in the snow and rain, to all appearances dead" (Herbert Giles 1898:710). This compares with the Himalayan tradition of tummo, which is still practiced by the Kagyu school. Tan's father regularly sent him money, which he spent on wine, and clothing, which he promptly gave away. Tan later went south to Mount Nanyue (南岳, or Mount Heng (Hunan)), where he allegedly perfected the jindan (金丹, "golden elixir") and could change shape, become invisible, and enter fire or water without being harmed (all Daoist metaphors for xian transcendence). Finally, he traveled to Mount Qingcheng 青城 (Sichuan), where he disappeared. Some sources confuse Tan Qiao with a more famous Daoist Tan Zixiao; both had the same Chinese surname, both lived in the tenth century, and both traveled in southern China. This mistaken identification began with the Huashu edition in the 1607 C.E. Daozang supplement Wanli xu daozang (萬歷緒道臧). Its preface notes that Tan Qiao's pseudonym (hao, 號) was Zixiao Zhenren (紫霄真人, "Perfected Person of the Purple Clouds/Skies"). Later gazetteers and histories repeated this pseudonym, which was actually that of another Daoist named Tan. Tan Zixiao (Simplified Chinese: 谭紫霄; Traditional Chinese: 譚紫霄; pinyin: Tán Zǐxiāo; Wade-Giles: T'an Tzu-hsiao; c. 910 C.E.- c. 995C.E.) was a celebrated Daoist in the Zhengyi Dao (正一) "Orthodox/Correct Unity" School. Tan's earliest biography is found in the 12th-century Nan Tangshu (南唐書, "History of the Southern Tang") by Ma Ling (馬令) and Lu You (陸游). Tan Zixiao was from Quanzhou (Fujian), which was part of Min (Ten Kingdoms). He was a renowned Daoist priest (daoshi 道師) and shaman (wu 巫), and served at the court of King Wang Chang (王昶, r. 935-939), who gave Tan the honorific title Zhengyi Xiansheng (正一先生, "Elder of Orthodox/Correct Unity"). After the fall of Min, Tan escaped to Mount Lu (Jiangxi Province) and established the Daoist Qiyin guan (悽隱觀, "Abbey of Dwelling in Concealment"). He supposedly possessed ancient talismans from Zhang Daoling, the founder of the Tianshi Dao "Way of Celestial Masters." Within this school, Tan Zixiao is considered the founder of the Tianxin zhengfa (天心正法, "Correct Methods of the Celestial Heart"), which is an influential Daoist healing tradition that combines Tianshi automatic writing talismans with shamanistic exorcisms. Tan Zixiao was so celebrated that Li Yu (李煜), the famous poet and last king of the Southern Tang (r. 961-975 C.E. ), summoned the Daoist priest to court and lavished wealth and honors on him. The contemporary scholar John Didier has definitively established that Tan Qiao and Tan Zixiao were two different people. He concludes that while Tan Qiao was "engaged in internally directed mystical alchemical pursuits in primarily the north between the years 860 and 940," Tan Zixiao "was active in the externally directed work of shamanic ritual manipulations exclusively in the southeast between approximately 910 and 995." Didier contrasts the activities and affiliations of the two Tans: Tan Qiao was a “wandering eccentric engaged in the internally directed pursuit of immortality or perfection who favored loneliness and remote mountain retreats while Tan Zixiao "was a professional institutionalized Taoist priest… engaged in externally directed shamanic or sorcerous methods of healing and liturgy for the sake of gaining emolument." Tan Zixiao's activities derived primarily from the second century Zhengyi "Orthodox/Correct Unity" sect of the Tianshi "Celestial Masters" movement, which emphasized communal rituals, registers, and talismans; Tan Qiao followed the fifth century southern Shangqing Highest Clarity" tradition, which emphasized personal cultivation, meditation, and visualization. The received Huashu text contains 110 articles or sections (pian, 篇) arranged in 6 chapters (juan, 卷), named after types of hua(化) "transformation; change; conversion." Most Huashu articles begin with a parable or example and then elaborate upon it. Individual articles are identified by chapter and number, for instance 1.1 Ziji Gong bi (紫極宮碑, "Stele at the Palace of the Purple Ultimate"), 1.2 Sheqiao (蛇雀, "Snakes and Sparrows"), 1.3 Laofeng (老楓, "Old Maple Trees"), 1.4 Ermu (耳目, "Ears and Eyes"). While the title of 1.1 consists of four Chinese characters, all the other 109 Huashu titles have two characters, suggesting corruption or alteration of the text. John Didier identified two lines of transmission of the Huashu, the "secular" text originally published under the authorship of Song Qiqiu and the "Daoist" text written by Tan Qiao. Didier concludes that during the fourteenth century, the book was widely known and read in China and that two Huashu cultures, the secular or external and the Taoist/alchemical or internal, existed. The secular Huashu text, called the Qiqiuzi (齊丘子, "[Book of] Master [Song] Qiqiu") or Song Qiqiu Huashu (宋齊丘化書), is related to the 1144-46 C.E.Daozang "Daoist Canon" edition of the Huashu. Texts in this lineage have 110 articles, beginning with 1.1 "Stele at the Palace of the Purple Ultimate." The Daoist Huashu text, called the Tanzi (譚子, "[Book of] Master Tan [Qiao]") or Tanzi Huashu (譚子化書), is related to the 1457-1464 Daiwang (代王) (Hubei) edition printed by the government. Texts in this lineage have 109 articles, or 110 beginning with different 1.1 Daohua (道化, "Way Transformations" (also the chapter 1 title)) or Shenhua (神化 "Spirit Transformations") titles. Many Huashu editions are currently available, and the Daozang includes two versions (CT 1044 and 1478). The textual theme and namesake of the Huashu is hua (化|化), which means: "Transform, change, convert, turn into; (physically) melt, dissolve; digest; incinerate; (individually) change into; metamorphose; take the form of; disguise oneself; (Buddhism) reincarnate; (euphemism) die; pass away." Wenlin interprets The Chinese character, c huà depicts a person and a person upside-down. 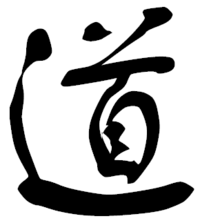 The left side is 亻 (人 rén) "person." The right side 匕 was originally 人 upside-down. "The character 化refers to a person who flips, or changes." (Interpretation taken from Wenlin Software for Learning Chinese.) The closest Chinese synonym is bian (變), "change, change into, become; transform; adapt; perform (magic, etc. ),” and their compound is bianhua 變化 "change; vary, variation; metamorphose; transmute." Two other common hua-compounds are huaxue (化學, "transformation study") "chemistry" and wenhua (文化, "literacy transformation") "culture; civilization." Hua ("transformations") are a primary theme in the Daoist classic text Zhuangzi (c. 330 C.E.). In the context of the Zhuangzi, transformation encompasses each and every thing in the natural world and the human world. “Transformation is not just change of form and shape (bian 變) or a change of things and situations (yi 易), but also entails a complete renewal of the experience of life's meaning (hua 化). Hua provides a way to move through various shapes or bodily forms within a species and across species to merge with each unique perspective, and to experience a mystical continuity with the particulars of nature” (Sellman). The English title of the Huashu is usually "Book of Transformations" or "Book of Transformation," but it is also translated "Book of Alternations" and "Scripture of Changes"—not to be confused with the Yijing." The term "Book of Transformations" is used in titles of books about the Yijing (Anagarika Govinda 1981) and magic (Marian Green 2001), and the term "Book of Transformation" in one by the Dalai Lama (2001). This tenth century Huashu "Book of Transformations," written by Tan Qiao and edited by Song Qiqiu, should be distinguished from a similarly titled thirteenth century Daoist text, the Wendi huashu (文帝化書, "Book on the Transformations of Lord Wen") or Zitong dijun huashu (梓潼帝君化書, "Book of Transformations of the Divine Lord of Zitong") It was supposedly revealed in automatic writing in 1181 and 1194 C.E. and details the transformations of Wenchang (文昌), patron deity of the literary arts, also known as Zitong dijun (梓潼帝君). While generations of Chinese literati have studied the Huashu as a philosophical text, notably in the context of Neo-Confucianism, it did not come to the attention of Western scholars until the nineteenth century. The British Protestant missionary Alexander Wylie (1815–1887) was the first Western scholar to describe the book: "The 化書 Hwa shoo or 'Book of Transformation,' written by 譚峭 T'an Seaou in the early part of the 10th century, is an ethical treatise, strongly impregnated with Taouist tendencies." The earliest European-language translation of the Huashu was in German by Alfred Forke, who discussed Tan Qiao's philosophy and translated over 20 articles. Joseph Needham and others studying the history of science and technology in China called the Huashu "a work of much importance." Of all these books, the most original from the point of view of the philosophy of science is probably the Hua Shu. [Tan Qiao] (if he was really its author) developed a special kind of subjective realism, in which he emphasized that though the external world was real, our knowledge of it was so deeply affected by subjective factors that its full reality could not be said to have been seized (this, of course, is an attempt to express his point of view in modern terms). First he considers an infinite regress of images of an object in oppositely placed plane mirrors. The form and colour of the object ([xing] 形) is perfectly retained in each of the successive images (ying 影). Since it can exist without them, it is not alone and in itself complete ([shi] 實), but since they perfectly reproduce its form and colour, they are not in themselves empty ([xu] 虛); or, as might be said in modern terms, it is not fully real, but they are not fully unreal. Now that which is neither real nor not-real, concludes [Tan Qiao], is akin to the Tao. Needham also cites a zoological example of subjectivity from Xiaoji (梟雞, "Owls and Hens") (1.9), written eight centuries before John Locke made the primary/secondary quality distinction: "For the owl, [Tan Qiao] says, the night is bright and the day dark; for the hen the converse is true, as for ourselves. Which of the two, he asks, in good Taoist style, is to be considered 'normal' and which 'abnormal'?" Shehu (射虎, "Shooting Tigers") (1.11) relates optical illusions with Daoist philosophy of perception: "A man may shoot at a striped stone, he says, under the impression that it is a tiger, or at a ripple on the water, under the impression that it is a crocodile. Moreover, even if these animals are really there, his attention may be so concentrated on them that he will simply not see the stones or the water beside them." The Huashu article Sijing (四鏡, "Four Lenses") (1.10), contains the earliest known reference to the basic types of simple lenses, and metaphorically illustrates relativism and, in modern terms, subjective idealism. Needham noted that Giambattista della Porta's 1593 De refraction, optics parte was the first European treatment of these fundamental lens types. I have always by me four lenses. The first is called [gui] 璧 (the "sceptre," a diverging bi-concave lens). The second is called [zhu] 珠 (the "pearl," biconvex). The third is called [zhi] 砥 (the "whetstone," plano-concave). The fourth is called [yu] 盂 (the "bowl," plano-convex). With [gui] the object is larger (than the image). With [zhu] the object is smaller (than the image). With [zhi] the image appears upright. With [yu] the image appears inverted. When one looks at shapes or human forms through such instruments, one realizes that there is no such thing as (absolute) large or small, short or long, beautiful or ugly, desirable or hateful. Dahan (大含, "Great Containment") (1.24) discusses how sound originates from disturbances in qi (氣, "air; vapor; pneuma; energy; vital force"), a theory that Needham called "far more advanced than the Pythagorean conception of sounds as a stuff composed of numbers." The void ([xu] 虛) is transformed into (magical) power (shen 神). (Magical) power is transformed into [qi]. [Qi] is transformed into material things ([xing] 形). Material things and [qi] ride on one another ([xing qi xiang cheng] 形氣相乘), and thus sound is formed. It is not the ear which listens to sound but sound which of itself makes its way into the ear. It is not the valley which of itself gives out echoing sound, but sound of itself fills up the entire valley. An ear is a small hollow ([qiao] 竅) and a valley is a large hollow. Mountains and marshes are a "small valley" and Heaven and Earth are a "large valley." (Theoretically speaking, then) if one hollow gives out sound ten thousand hollows will all give out sound; if sound can be heard in one valley it should be heard in all the ten thousand valleys. Sound leads (back again) to [qi]; [qi] leads (back again) to (magical) power (shen 神); (magical) power leads (back again) to the void. (But) the void has in it (the potentiality for) power. The power has in it (the potentiality for) [qi]. [Qi] has in it (the potentiality for) sound. One leads (back again) to the other, which has (a potentiality for) the former within itself. (If this reversion and production were to be prolonged) even the tiny noises of mosquitoes and flies would be able to reach everywhere. Several other Huashu articles mention this Daoist transformational series between xu (虚) "emptiness; void," shen (神) "spirit; god," qi (氣), and xing (形) "form; shape; material things." They are said to be reversible back to emptiness (1.1), to exist everywhere (1.3), to all be one (1.16), to all contain each other (2.19), to transform from life to death and back to emptiness (1.20), and, adding a transformation from xing to jing (精) "essence" (cf. the Three Treasures), to underlie all human problems (1.15). Other Western scholars, using quotes from Needham’s study of the Huashu, have pointed out correlations between early Chinese thought and concepts of Western thought. Galeotti, Menconi, and Fronzoni suggest "surprising references to the butterfly effect" in "Great Containment" (1.24). Brian Davies compares Francis Crick's The Astonishing Hypothesis with "Shooting Tigers" (1.11) that uses "optical illusions and human inattention to press the view that we pick out certain elements of reality to form our world-picture." The Huashu, unlike most other Daoist classics, is not available in English translation, with the unpublished exceptions of a MA thesis and a PhD dissertation. ↑ Poul Anderson, "Huashu 化書 Book of Transformation," in The Encyclopedia of Taoism, ed. Fabrizio Pregadio (Routledge, 2008, ISBN 9780700712007). ↑ 2.0 2.1 John Didier, "T'an, Chancellor Sung, and the Book of Transformation (Hua shu): Texts and the Transformations of Traditions," Asia Major, 3rd series, 1998, 11: 147. ↑ Lembert and Schenkel (2002), 213. ↑ James D. Sellmann, "Transformational Humor in the Zhuangzi," in Wandering at Ease in the Zhuangzi ed. Roger T. Ames (State University of New York Press, 1998), 170. ↑ Hans-Georg Moeller, Daoism Explained: From the Dream of the Butterfly to the Fishnet Allegory (Open Court, 2004), 151. ↑ Alexandra Lembert and Elmar Schenkel, The Golden Egg: Alchemy in Art and Literature (Galda & Wilch, 2002), 213. ↑ Terry F. Kleeman, A God's Own Tale: The Book of Transformations of Wenchang, the Divine Lord of Zitong (State University of New York Press, 1994). ↑ Alexander Wylie, Notes on Chinese Literature: With Introductory Remarks on the Progressive Advancement of the Art (American Presbyterian Mission Press, 1901). ↑ Alfred Forke, Geschichte der mittelalterlichen chineschen Philosophie (De Gruyter, 1934), 338-49. ↑ 14.0 14.1 Joseph Needham, Science and Civilisation in China (Cambridge University Press, 1956), 444. ↑ Laura Galeotti, Giulia Menconi, and Leone Fronzoni, "Measure of Diffusion Entropy of Weak Turbulence," in Determinism, Holism, and Complexity ed. Vieri Benci (Springer, 2003), 90. ↑ E. Brian Davies, Science in the Looking Glass: What Do Scientists Really Know? (Oxford University Press, 2003), 4. Anderson, Poul. "Huashu 化書 Book of Transformation." In The Encyclopedia of Taoism. Ed. Fabrizio Pregadio. Routledge, 2008. ISBN 9780700712007. Dalai Lama. Dalai Lama's Book of Transformation. Thorsons, 2001. ISBN 9780007100972. Davies, E. Brian. Science in the Looking Glass: What Do Scientists Really Know? Oxford University Press, 2003. ISBN 9780198525431. Didier, John. 1998. "Messrs. T'an, Chancellor Sung, and the Book of Transformation (Hua shu): Texts and the Transformations of Traditions." Asia Major 11 (3): 99-151. Ding Zhenyan 丁禎彥 and Li Sizhen 李似珍 (eds.). Huashu 化書. Zhonghua shuju, 1996. Forke, Alfred. Geschichte der mittelalterlichen chineschen Philosophie. De Gruyter, 1934. Galeotti, Laura, Giulia Menconi, and Leone Fronzoni. "Measure of Diffusion Entropy of Weak Turbulence." In Determinism, Holism, and Complexity. Ed. Benci, Vieri. Springer, 2003. ISBN 9780306474729. Giles, Herbert Allen. A Chinese Biographical Dictionary. Kelly & Walsh, 1898. Govinda, Anagarika. The Inner Structure of the I Ching, the Book of Transformations. Weatherill, 1981. ISBN 9780935706000. Green, Marian. Practical Magic: A Book of Transformations, Spells and Mind Magic. Lorenz, 2001. ISBN 9780754807445. Kleeman, Terry F. A God's Own Tale: The Book of Transformations of Wenchang, the Divine Lord of Zitong. State University of New York Press, 1994. ISBN 9780585044897. Lembert, Alexandra, and Elmar Schenkel. The Golden Egg: Alchemy in Art and Literature. Galda & Wilch, 2002. ISBN 9783931397401. Mair, Victor H. Wandering on the Way: Early Taoist Tales and Parables of Chuang Tzu. Bantam, 1994. ISBN 9780553374063. Moeller, Hans-Georg. Daoism Explained: From the Dream of the Butterfly to the Fishnet Allegory. Open Court, 2004. ISBN 9780812695632. Needham, Joseph, et al. Science and Civilisation in China. Cambridge University Press, 2008. ISBN 9780521327275. Sellmann, James D. "Transformational Humor in the Zhuangzi." In Wandering at Ease in the Zhuangzi. Ed. Roger T. Ames. State University of New York Press, 1998. ISBN 9780791439210. Wylie, Alexander. Notes on Chinese Literature: With Introductory Remarks on the Progressive Advancement of the Art. American Presbyterian Mission Press, 1901. This page was last modified on 25 March 2014, at 18:51.